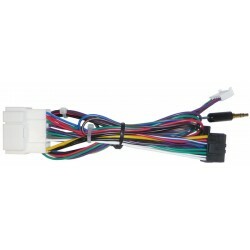 Easiest installation ever - this custom Plug-n-Play harness connects into the head unit, the car's stereo harness, and our DCI (Dash Control Interface) to simplify installation of a Kenwood head unit and DCI. This harness greatly reduces installation time and there are no worries about making the right wire connections. DCI (sold separately) is needed to convert S2000 dash control signals into head unit commands. 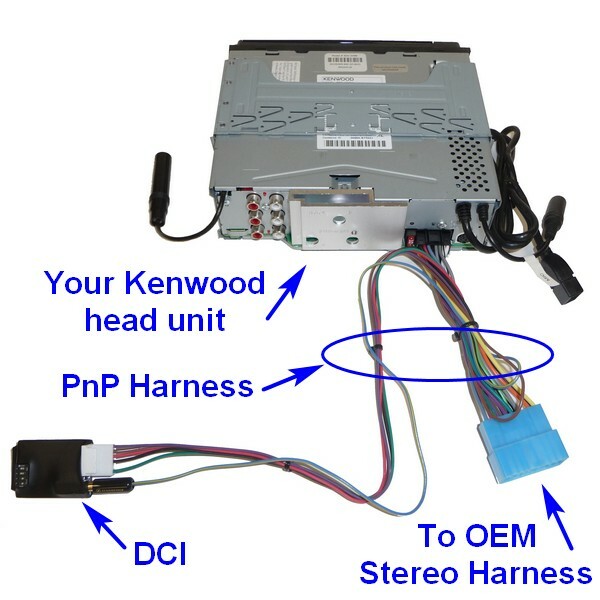 Can be used without a DCI for a "no splice" installation of Kenwood head units (without DCI the dash controls will not work). Amp "turn-on" lead (blue/white) is wired to power the S2000 antenna but may be T-tapped for use with an external amplifier. Only works on DCIs with a 6-pin connector (sold 2012 or later). If your DCI has an 8-pin connector contact us for help. If you want to make use of the SCV (Speed Controlled Volume) feature of the DCI you will need to buy the optional SCV wiring kit (SCV Details here). This kit consists of a pre-terminated wire that plugs into the DCI connector, and then the other end is run behind the passenger dash to T-tap the vehicle speed signal. No special tools are needed and all parts and connectors are included. 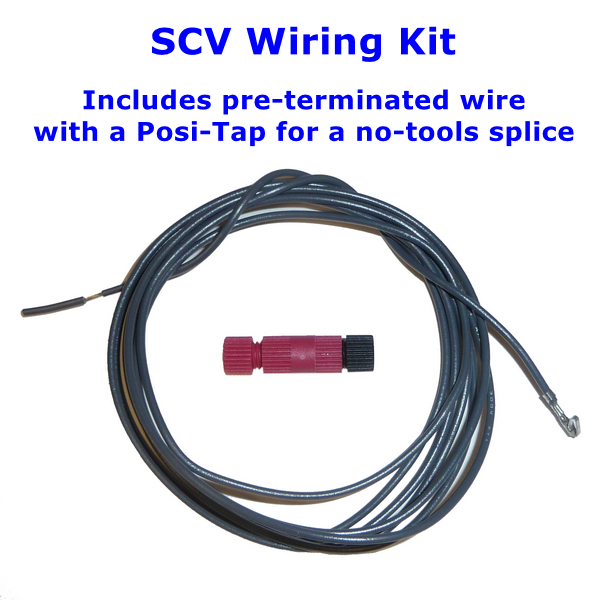 Detailed instructions with photos are included in the SCV Wiring Kit. 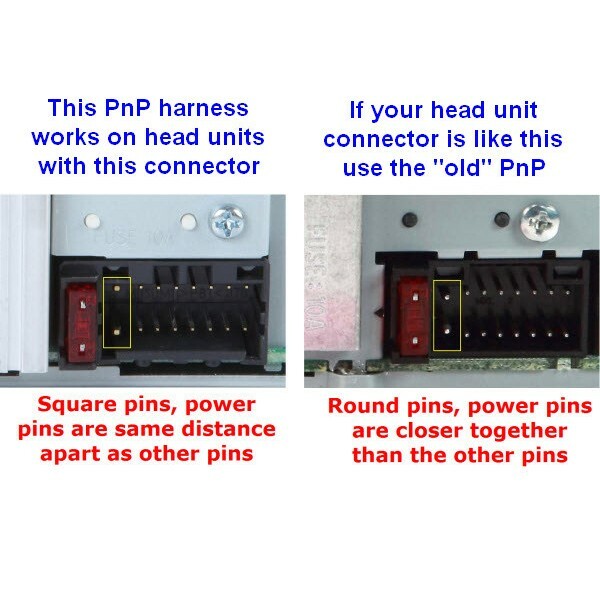 Connector Compatibility - Beginning in 2017 Kenwood changed the connector on some models, as shown in the photos above. From experience we know that the following models do NOT work with this (new) PnP harness - KMM-108U, KDC-HD262U, KDC-BT368U, KMM-BT515HD, KDC-X500, KDC-BT858U, KDC-X898, KDC-BT958HD, KDC-X998 so if you have one of these you need to use the (old) Kenwood PnP.